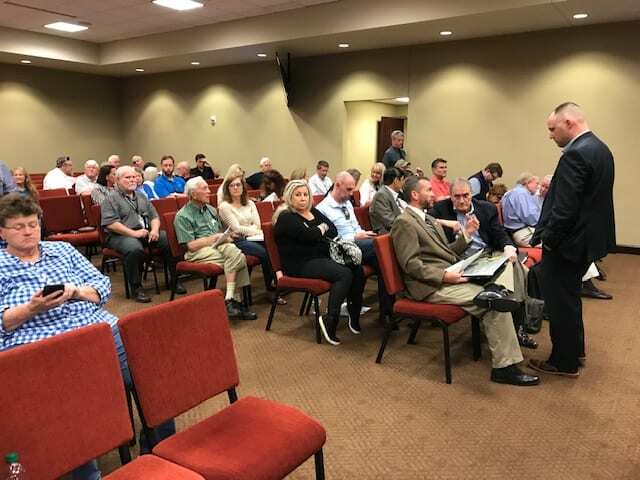 DAWSONVILLE, Ga. – Anyone hoping to get a seat at the Dawson County Planning Commission meeting tomorrow (Tuesday, April 16) should arrive early. The meeting will begin at 6 p.m. in the Dawson County Government Assembly Room and a standing-room-only crowd is expected to attend to hear a rezoning request that could permit one of the biggest developments in the county’s history. 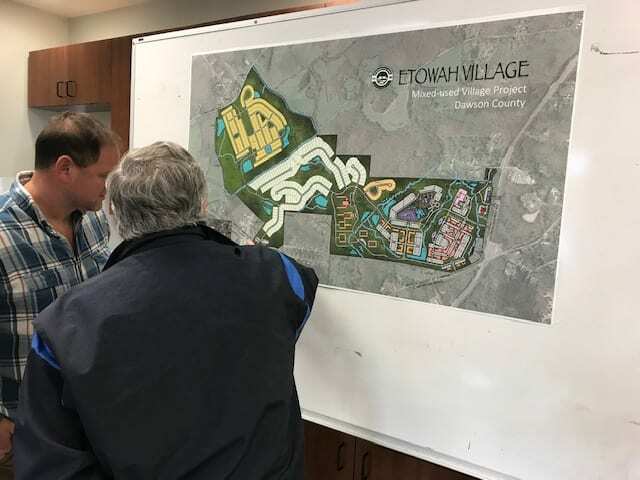 Dawson Village Partners is asking to rezone approximately 770 acres to Mixed Planned Village for a development currently known as Etowah Village. Original plans called for a 974-acre development that would include approximately 2,700 residential units. That number has now been reduced to 2,175 units. Following Tuesday’s planning commission hearing the request will go before the Board of Commissioners with a recommendation to approve or deny. That meeting is tentatively set for May. The developer’s plan calls for the development to begin at the intersection of Lumpkin Campground Road and Ga. 400 expanding west to Etowah River Road and across the Etowah River. At an informational meeting last month, project engineer Corey Guthrie revealed that plans call for construction of a convention center, luxury hotel that could rise to 10 stories, a performing arts center for concerts, approximately 300,000 square feet of retail/restaurant space, 200,000 square feet of office space, a 12,000 square foot fire station, a 40-acre park with canoe launch on the Etowah River, and a continuous care retirement community with an assisted living and nursing center with about 450 beds. Guthrie said the project could take 10-15 years to complete and would be built in five phases. 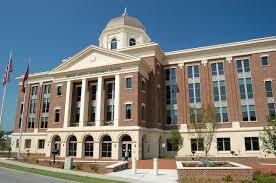 Phase 1 consists of building the fire station, hotel and retail along Ga. 400. Phase 2 calls for construction of office buildings, apartments, a performing arts center and museum. Phase 3 will be the addition of continuous care retirement center. Phase 4 would include a 400-unit active adult community. The final phase calls for the addition of 171-single family units. Guthrie said if the county commission approves the rezoning, it will be at least nine months to a year before ground is broken. 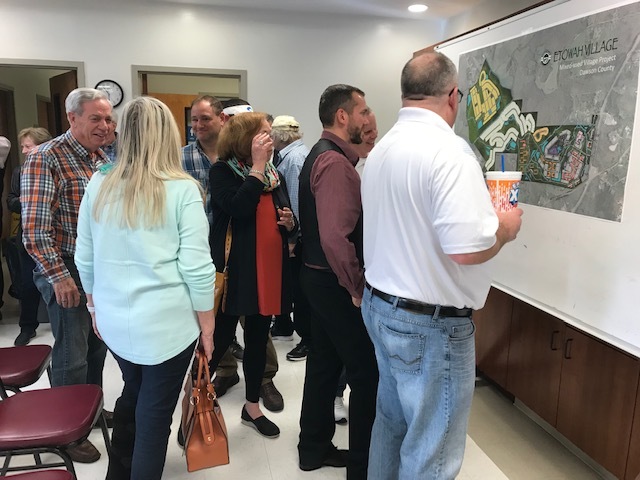 DAWSONVILLE, Ga. – Representatives from Dawson Village Partners LLC met with a very engaged group of approximately 100 stakeholders to provide details and answer questions about the massive 770-acre, 2,175 resident, mixed village development known as Etowah Village at Fire Station No. 2 yesterday. The scope of the project — which will span the northwest corner of Lumpkin Campground Road and Ga. 400 westward, crossing the Etowah River and reaching Etowah River Road – has been reduced from 974 acres and 2,700 residences. The project was expected to go before the Dawson County Planning Commission next week, but the developer has asked for a postponement until either April or May. Plans call for approximately 300,000 square feet of residential space, 200,000 square feet of retail/restaurant space, a 12,000 square foot fire station, 300-room hotel with conference center, a performing arts center for concerts. About 30 percent of the project will be green space, including a 40-acre park with canoe launch on the Etowah River. There will also be 171 single-family residences and, 400 multi-family residences. 319 of those will be above retail space. The rest will be age targeted or age restricted. Within that will be a continuous care retirement community with an assisted living, nursing center with about 450 beds. Project Engineer Corey Gutherie said there is still a lot of work to be done before ground can be broken. Following the planning commission meeting, the project will have to go before the Board of Commissioners at least twice, first to get approval for the project then again to get approval of the architectural design. “It will be at least nine months to a year after that before we can begin moving dirt,” Gutherie said Wednesday. The project is expected to take 10-15 years to complete. 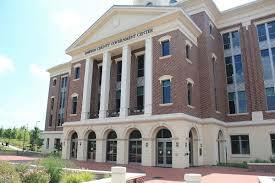 Phase 1 consists of building the fire station, hotel and retail along Ga. 400. Phase 2 calls for construction of office buildings, apartments, a performing arts center and museum. Phase 3 will be the addition of continuous care retirement center. Phase 4 would include a 400-unit active adult community. The final phase calls for the addition of 171-single family units. Reaction from the stakeholders was mostly positive. 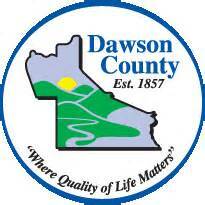 DAWSONVILLE, Ga. — The Dawson Village Partners, LLC rezoning request that was scheduled to go before the Dawson County Planning Commission on March 19, will be postponed until the next meeting in April. Dawson Partners, LLC is proposing a massive mixed use village to be located on a 974-acre site at the northwest corner of the intersection of Lumpkin Campground Road and Ga. 400 west, crossing the Etowah River and reaching Etowah River Road. Developers are awaiting the results of a development of regional impact (DRI) study being conducted by the Georgia Mountains Regional Commission before moving forward. DRIs are large-scale developments that are likely to have regional effects beyond the local government jurisdiction in which they are located. The Georgia Planning Act of 1989 authorized the Department of Community Affairs (DCA) to establish procedures for review of these large-scale projects. These procedures are designed to improve communication between affected governments and to provide a means of revealing and assessing potential impacts of large-scale developments before conflicts relating to them arise. At the same time, local government autonomy is preserved since the host government maintains the authority to make the final decision on whether a proposed development will or will not go forward.